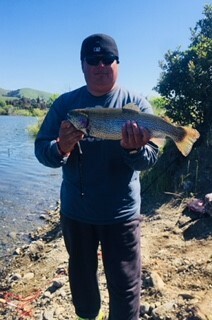 Please remember that a California state-fishing license is required for anglers aged 16 or older. In addition, a Park District daily fishing permit is required and may be purchased from the iron ranger located at the swim complex gate. Please remember there is NO fishing on or around the fish plant site and dock for two hours after a fish plant.